4 Ways the LG OLED TV Is Bigger and Better than Ever! Is time to get a new TV? The LG OLED TV is bigger and better looking than ever! 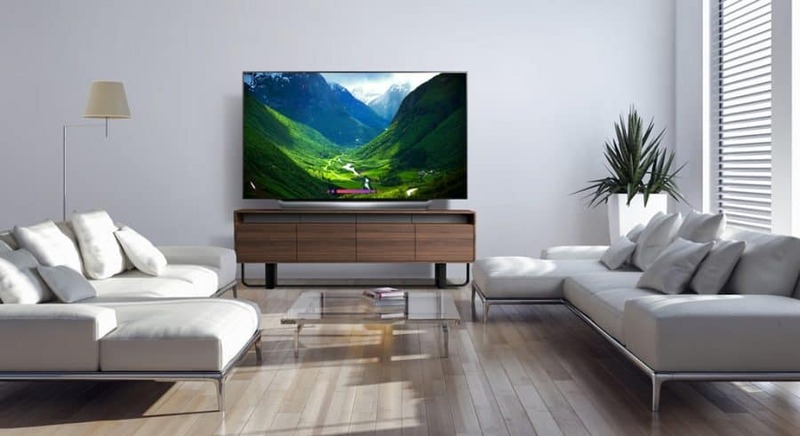 Buying a new TV is a really exciting purchase to make for your home. These days, TVs are thinner, more vivid and smarter than ever. I still remember moving my husband's TV from his grandpa and how big and clunky it was. Well, those days are over and the LG OLED TV is definitely a TV for a modern family. Right now you can save up to $500 on select LG OLED 4K TVs at Best Buy. Check out why you'll love an LG OLDED TV and then head to Best Buy to get one that is perfect for your family. Screen size: You won't miss a minute of the game or movie with the LG OLED C8 TV's 77″ screen. You'll be immersed in the game, movie or favorite TV show. You can also watch 4K movies and TV shows in gorgeous Ultra HD level picture quality. Not ready for a huge screen? This TV is also available in a 55″ and 65″ screen size. ThinQ AI: This is one smart TV! The LG OLED TV works with both Google Assistant and Amazon Alexa (some features require 3rd party subscription). Conveniently control your TV with voice commands. You can control the volume, picture, and search for shows or movies with your voice. The LG OLED also comes pre-installed with apps like Netflix, Hulu, and more. Picture Quality: You've never seen color vibrance like this on a TV. Thanks to 8.3 million individually lit pixels, the LG OLED TV recreates a movie theater experience right in your home. LG's Alpha9 processor provides true-to-life images with incredibly rich colors, sharpness and depth to deliver the ultimate picture quality. Design: The LG OLED TV has a an ultra slim design that makes it look great either sitting on table top or mounted on the wall. It blends right in to any design in any home. Learn more about LG OLED TVs available at Best Buy!